National will secure a third term in this year’s election, and Labour Leader David Cunliffe has a 64% probability of departing as party leader by the end of the year, according to this week’s snapshot of the combined wisdom of the 7000 registered traders on New Zealand’s online predictions market, iPredict. 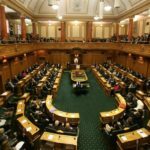 A National/Act/UnitedFuture/Maori Party government would hold the 61 seats required to govern, while a National/NZ First government would hold 63 seats. The Conservative Party is moving ever closer to the 5% party vote threshold and, while still trailing National, has increased support in the East Coast Bays electorate. The probability of New Zealand recording a fiscal surplus in 2014/15 has improved this week, and the Reserve Bank of New Zealand is again expected to raise the OCR at its next review in July. Growth expectations are unchanged this week. Growth in the March 2014 quarter is still expected to be 1.2% (steady compared to last week), 1.0% in the June quarter (steady), 1.0% in the September quarter (steady) and 1.1% in theDecember quarter (steady). Forecast annual growth for 2014 remains 4.4% (steady). Forecasts for New Zealand’s current account are broadly unchanged this week. The deficit is expected to be 3.1% for the March 2014 quarter (steady compared with last week), 3.0% in the June quarter (down from 3.3%), 3.7% in theSeptember quarter (steady) and 3.9% in the December quarter (steady). The probability of a fiscal surplus in 2014/15 has improved to 90% (up from 82% last week). The surplus forecast for 2014/15 is 0.45% of GDP (up from 0.42%), while the forecast for the 2015/16 surplus is 0.974% of GDP (steady), and the forecast surplus for 2016/17 remains 2.00% of GDP (steady). Inflationary expectations are unchanged this week and continue to remain below the Reserve Bank’s 2% target midpoint through 2014. Annual inflation to the end of the June quarter is expected to be 1.7%, (steady), 1.6% in the Septemberquarter (steady) and 1.7% in the December quarter (steady). Having correctly forecast the Reserve Bank would raise the Official Cash Rate (OCR) by 25 basis points on 12 June, the market is now forecasting a 70% probability that the Reserve Bank will increase the OCR by a further 25 basis points at its next review on 24 July. Compared with the rate of 2.5% at the start of 2014, the market is pricing that the OCR will be up 93 basis points in July (up from 84), 101 in September (up from 92), 112 in October (up from 102), 121 in December(up from 112), 126 in January 2015 (up from 117) and 142 in March 2015 (up from 132). There is a 7% probability Judith Collins will lose all her ministerial portfolios before parliament is dissolved on 14 August, up from 4% last week, but down from 10% two weeks ago and 19% three weeks ago. New Zealand’s chances of being elected to the UN Security Council for 2015-16 have fallen to 42% (down from 48%, last week). The probability Helen Clark will be appointed the next UN Secretary General has fallen to 20%, down from 21% last week. The probability New Zealand will sign a Free Trade Agreement with South Korea before 1 December 2014 is unchanged at 52%. The probability the US Congress will ratify the yet-to-be-signed Trans Pacific Partnership (TPP) agreement before 1 July 2015 is 11% (steady), and there remains a 35% probability a deal will be ratified by the US Congress by 1 July 2017(steady). All current party leaders, except for Labour Party Leader David Cunliffe and Maori Party co-leaders Tariana Turia, are strongly expected to remain in their roles until nomination day with at least 94% probability. Mr Cunliffe now has just a 75% probability of leading Labour on nomination day. The party vote turnout is still expected to be 77.7% (steady compared to last week), up from the 74.2% turnout in 2011. Of major parties, National is expected to win 45.0% of the party vote, up from 43.9% last week. Labour has slipped back to 28.9%, from 30.5% last week, while the Green Party is down to 10.5%, from 10.9% last week. Of smaller parties, NZ First is expected to win 5.3% of the party vote, up from 5.1% last week. The Conservative Party’s forecast party vote is now 4.2%, up from 3.6% last week, although still short of the 5% threshold required for parliamentary representation unless it wins an electorate seat. Support for Act has increased to 2.3% (up from 2.2% last week), while support for UnitedFuture remains at 0.5%. 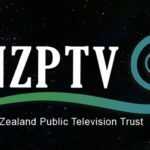 Amongst other smaller parties, the Internet Mana alliance is expected to win 2.1%, the Maori Party 0.8%, and the Aotearoa Legalise Cannabis Party 0.2%. Act’s probability of winning at least one electorate seat is 81%, steady compared with last week, and its expected electorate representation is now 0.82 MPs, up from 0.80 MPs. The market is pricing that it has an 82% probability of winningEpsom (up from 80%). The Conservative Party’s probability of winning at least one seat has increased this week to 45%, up from 39%, and its expected electorate representation has increased to 0.48 MPs from 0.47 MPs last week. The Conservatives are not expected to win any specific electorate, however they have made gains in East Coast Bays where they have a 37% probability of winning (up from 29% last week). The party’s probability of winning Rodney is 11% (up from 10%), and they remain behind both National and Labour in Upper Harbour where they have just a 5% probability of victory, down from 6% last week. UnitedFuture prospects have improved marginally. It has a 79% probability of winning at least one seat (up from 78% last week) and its expected electorate MP representation is 0.80 MPs, up from 0.77 MPs. Its probability of winning Peter Dunne’s Ohariu electorate remains 79% (steady). In the Maori electorates, Mana now has an 83% probability of winning at least one seat (up from 80% last week) and its expected electorate representation is 1.1 electorate MPs, steady. The Maori Party has a 57% probability of winning a seat (steady) and its expected electorate representation has increased to 0.77 MPs, up from 0.68 MPs. Mana’s probability of winning Te Tai Tokerau has increased and is now 83%, up from 79% last week, although its support has slipped in Waiariki where it has 43% probability of winning (down from 48% last week), behind Maori Party Leader Te Ururoa Flavell on 55% probability (up from 53% last week). The probability the Maori Party will retain Tariana Turia’s Te Hauauru electorate is 20% (steady), with Labour favoured to win with 80% probability (steady). The six most marginal general seats, excluding the aforementioned Waiariki, East Coast Bays and Te Tai Tokerau electorates, are now Hamilton East, Palmerston North, Te Atatu, Tamaki Makaurau, Waimakariri and Napier. In Hamilton East, support for incumbent National MP David Bennett has slipped and he has a 53% probability of winning the seat (down from 57% last week), just ahead of Labour challenger Dr Cliff Allen who has 48% probability (up from 40% last week). In Palmerston North, Labour’s Ian Lees-Galloway has lost ground and now has a 55% probability (down from 60% last week) of retaining the seat from National candidate and Palmerston North Mayor Jono Naylor who has 45% probability (up from 40%). In Te Atatu, Labour’s Phil Twyford now has just 55% probability of holding the seat, down from 67% last week, ahead of National challenger Alfred Ngaro on 45%. In Tamaki Makaurau, Labour’s Peeni Henare has a 67% probability of winning the seat currently held by retiring Maori Party MP Dr Pita Sharples, unchanged from last week, while in Waimakariri, Labour’s Clayton Cosgrove also has 67% probability of winning the seat from National’s Matthew Doocey, unchanged from last week. In Napier, Labour’s Stuart Nash has a 73% probability of winning the seat from National’s Wayne Walford. Based on the party vote forecasts and the electorate results above, Parliament would consist of: National 56 MPs, Labour 36 MPs, the Greens 13 MPs, NZ First 7 MPs, Act 3 MPs, Internet Mana 3 MPs and the Maori Party and UnitedFuture 1 MP each. Parliament would have 120 MPs and a government would be required to have the support of 61 MPs on confidence and supply. Under this scenario, National, Act, United Future and the Maori Party would hold 61 seats and be able to form a government. National would also be able to govern with the support of just the NZ First party with whom it would hold 63 seats. 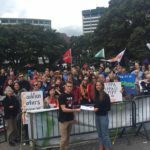 Labour would be unable to form a government with Labour, Greens, NZ First, Internet Mana and the Maori Party forecast to hold a combined 60 seats. With growing speculation National may negotiate with the Conservative Party over an electorate accommodation, iPredict has also projected a scenario based on the party vote forecasts and the electorate results above, with the addition of the Conservative Party winning an electorate. Under that scenario, Parliament would consist of: National 54 MPs, Labour 35 MPs, Greens 13 MPs, NZ First 6 MPs, Act 3 MPs, Conservatives 5 MPs, Internet Mana 2 MPs, and the Maori Party and UnitedFuture 1 MP each. Parliament would have 120 MPs and a government would be required to have the support of 61 MPs on confidence and support. National would be able to govern with the support of the Act and Conservative parties along with the support of one of the UnitedFuture or Maori parties, who together would hold 63 seats, or with the support of the Conservative and NZ First parties, who together would hold 65 seats. iPredict’s bundle of stocks forecasting NZ First’s decision-making should it hold the balance of power indicates Mr Peters would support a Labour-led Government. There is a 50% probability Mr Peters would support a Labour-led Government (up from 48% last week), and a 46% probability he would give confidence and supply to National (up from 44% last week). There is now just a 3% probability he would give confidence and supply to neither (down from 8.1% last week), which would favour the larger bloc, which the market indicates would be National-led. Overall, National now has a 79% probability of leading the next government, up from 73% last week. David Cunliffe’s position as Labour leader has deteriorated this week. There is now a 64% probability he will depart as leader by the end of 2014 (up from 51% last week), a 78% probability he will depart by the end of 2015 (up from 70%), an 82% probability he will depart by the end of 2016 (up from 75%), and an 89% probability he will depart by the end of 2017 (up from 85%). Grant Robertson continues to be strongly favoured to succeed Mr Cunliffe. He has a 69% probability of being the next Labour leader (up from 65% last week), followed by Jacinda Ardern on 18% (up from 17%) and Andrew Little on 5% (down from 9%). In National, John Key now has a 51% probability of departing as leader by the end of 2015 (down from 56% last week), a 68% probability of departing by the end of 2016 (down from 71%), and an 84% probability he will depart by the end of 2017 (down from 86%). Steven Joyce remains favoured to succeed Mr Key as National Party leader, with 43% probability (down from 53% last week), followed by Judith Collins on 13% probability (up from 11%) and Simon Bridges on 9% (steady). Labour’s chances of winning the 2017 election remain unchanged at 55%. iPredict Ltd is owned by Victoria University of Wellington. Details on the company and its stocks can be found at www.ipredict.co.nz. The weekly political update is prepared by Exceltium Ltd on a pro bono basis and is based on a snapshot taken at a random time each week. This week’s was taken at 8.42 am today.